If you live in a small space, you probably don’t find monstrous PC cases with enough room to house an intricate water-cooling system and multiple powerful graphics cards as thrilling as other PC enthusiasts do. But just because you have to make every square inch count doesn’t mean that you can’t build a PC with an ATX motherboard. You just have to be smart about it and purchase one of the smallest ATX PC cases on the market. 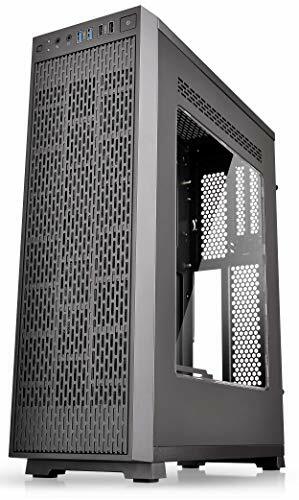 Coming up in number one spot on our list is the NZXT H500 mid-tower case. This one offers a compact style, but doesn’t sacrifice a premium construction or feel — this one actually has an all-steel construction with NZXT’s own sleek H Series design. It’s, by default, available in a Black / White color option, but you can get it in four other color combinations as well. It has a full tempered glass panel, which allows you to see your PC’s design. It’s perfect for being able to see all of the unique RGB lighting that your components have. There are a couple other highlights to this system as well, coming as water-cooling ready, and it even comes with its own cable management system. It has a dual-position cable management bar, as well as a cable routing kit located behind motherboard tray. Velcro straps allow you to make changes on the fly, keeping your system overall extremely neat. 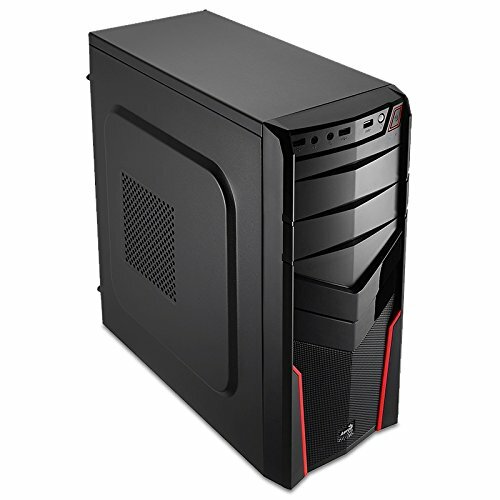 Next up, we have the Thermaltake Core G3 computer case. This one has a compact micro-slim chassis design for the perfect fit at your desk or living room, and it also makes it easy to travel around with — such as for LAN parties. One of the unique things that the Core G3 provides is the ability to set this up for horizontal or vertical layouts, allowing you to uniquely customize your system. It also has a floating GPU design. You can bring your GPU to the forefront with a custom GPU mount, turning the GPU face front for an unprecedented and unique look. This comes with a couple of 120mm fans to keep your machine cooled, and they’re already pre-installed! Designed with the needs of virtual reality gamers in mind, the Thermaltake Core G3 is an ultra-slim ATX case with a footprint of just 81 in2, the smallest footprint of all ATX PC cases on this list—by far. The case is able to fit up to 310 mm long graphics card, two 3.5”/2.5” storage devices, and a tower CPU cooler with a maximum height of 110mm. 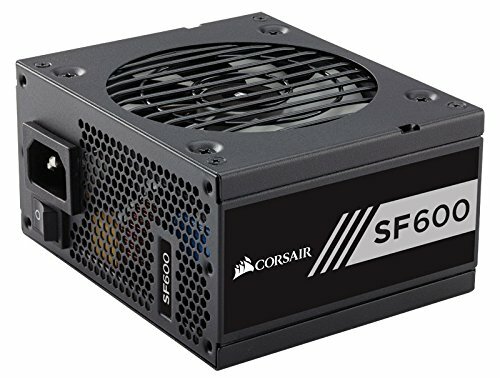 The only component you won’t be able to fit inside the case is a standard ATX power supply because the Thermaltake Core G6 is designed for SFX (Small Form Factor) power supplies, such as the Corsair SF600. The Fractal Design Define C doesn’t try to please everyone. Its minimalist aesthetics leave no room for optical drive bays, and both of its side panels feature opaque sound dampening material instead of a transparent plexiglass window. But if you’re the type of person who prefers cold efficiency over flashiness, you’ll fall in love with the clever design of the interior of the Fractal Design Define C, its thermal and acoustic properties, and flexible storage options with room for up to 5 drives. You can fit with up to 315 mm long graphics card inside the case, and all ATX PSUs up to 175mm deep should install easily. This beautiful small aluminum ATX PC case proves that less-known brands sometimes offer unmatched value. 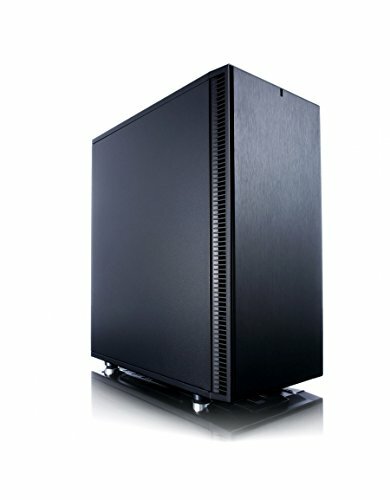 The Thesis from global computer parts manufacturer Raijintek is compatible with standard ATX power supplies, comes with two 120 mm fans pre-installed, and amazes with its high-quality tempered glass side panels and deep black coating on the inside. The only limitation of this beautiful and surprisingly affordable ATX PC case is the maximum graphics card length, which is only 280 mm. But as long as your graphics card fits, this case is a fantastic buy. The AeroCool V2X is the most affordable small ATX PC case on this list, and it’s also the most traditional looking. Unlike our other picks, the AeroCool V2X offers two external 5.25” drive bays, in addition to two internal 5.25” drive bays, two internal 3.5” drive bays, and one internal 2.5” drive bay located at the bottom of the case. Because of its traditional design, the AeroCool V2X can fit up to 320 mm long graphics cards and up to 150 mm tall CPU coolers. 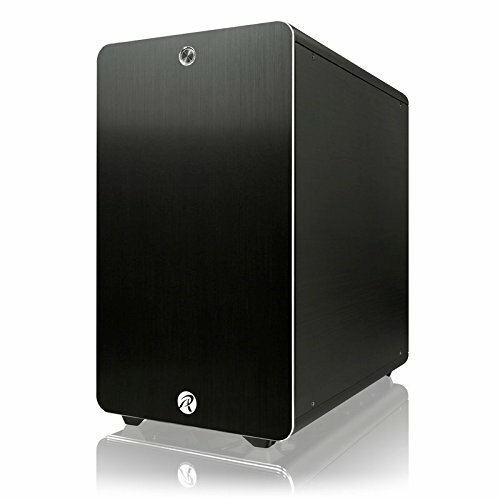 For $40, this small ATX PC case surprises with decent build quality, versatility, and logical internal organization. 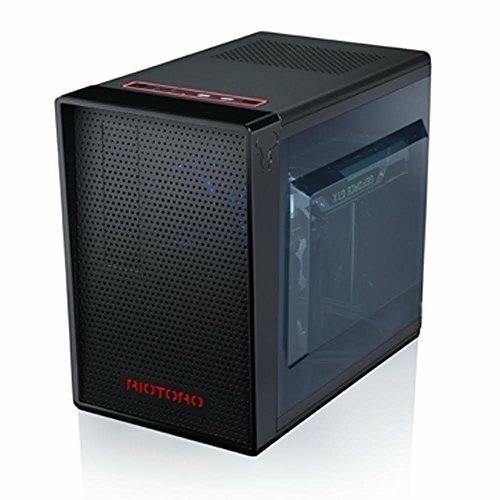 The Riotoro CR1080 is one of the smallest ATX cases you can buy today that supports full size ATX motherboards, power supplies, and graphics cards. 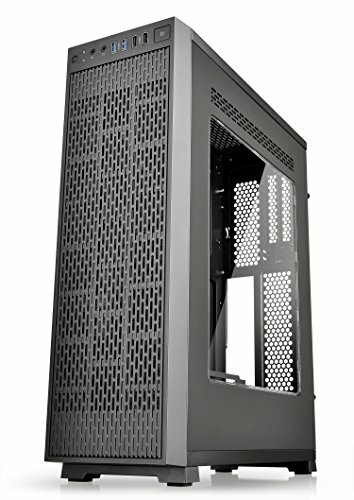 The case stands out with its unique dual-compartment design, which allows for fantastic cooling efficiency and easier installation of all components. The Riotoro CR1080 has seven expansion slots on the back, and there are two USB 3.0 ports, microphone jack, and headphone jack on the top. There are a ton of awesome low profile ATX PC cases out there; however, it can be almost impossible to find the perfect option with so many different choices out there. That said, we think we’ve compiled some of the best options available for you today. Which one are you planning to pick up? Or if you already have one of these, be sure to tell us all about it in the comments section below!